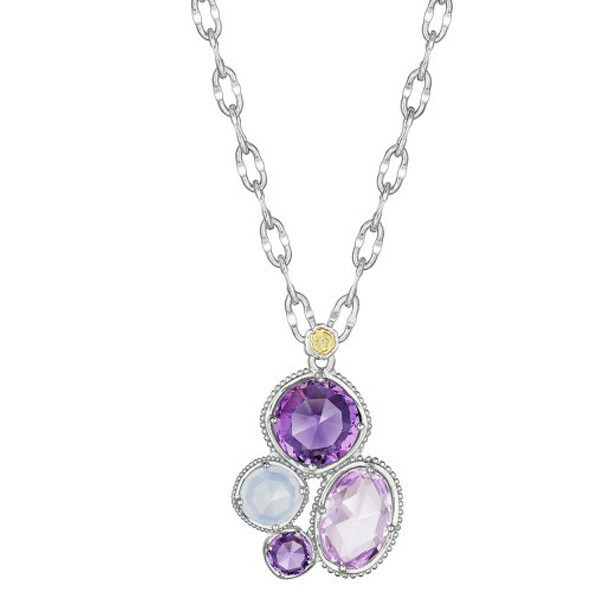 Lilac Blossoms Rose Amethyst, White Chalcedony, & Amethyst Cluster Pendant Necklace 18"
Featured in Tacori's 18K925 collection, this 3 stone pendant is vibrant. It features a combination of rose amethyst, white chalcedony and purple amethyst giving this necklace an astonishing luxurious look that compliments any outfit. Truly iconic glamour!